6 letters Russia 2018 pictures description with four pics one word pampering at home, time to hit the disco! physiotherapy, painter & decorator. It’s time to kickoff on July 2018 ! 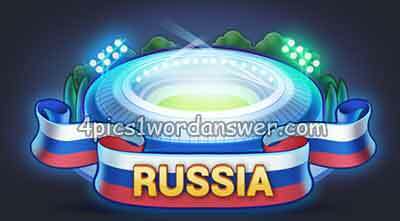 Grab your cleats and come to Russia this month with 4 pics 1 word Russia edition! Celebrate soccer and solve new Daily Puzzles, earn more coins and win Soccer Edition badges from the 4 pics 1 word Russia edition !